USF is currently working on a mobile web application that will provide multi-modal (transit, bike, walk) directions around the USF campus, complete with real-time transit and bike share information. It will work on both mobile and desktop browsers. You can check out an early version of the site here. 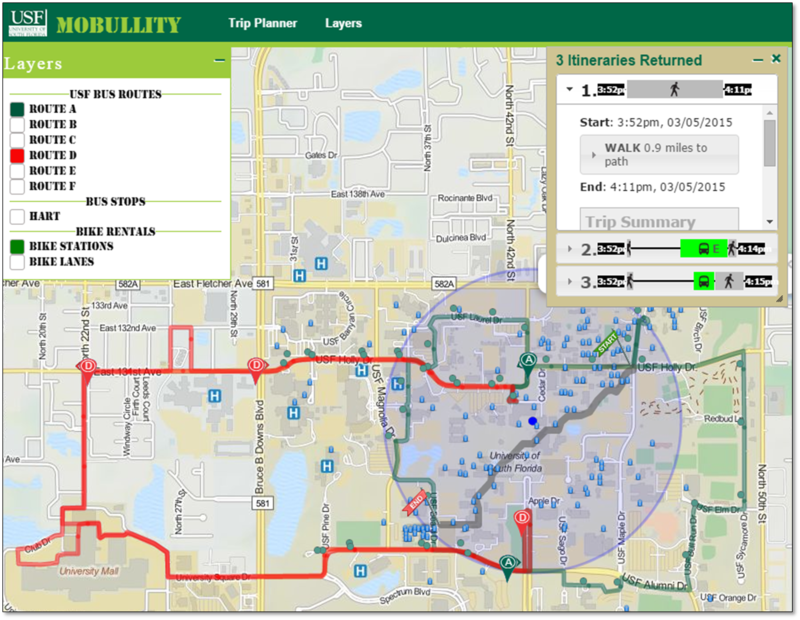 This work is being funded via the USF Student Green Energy Fund and the work is being completed by USF student overseen by the USF Center for Urban Transportation Research. 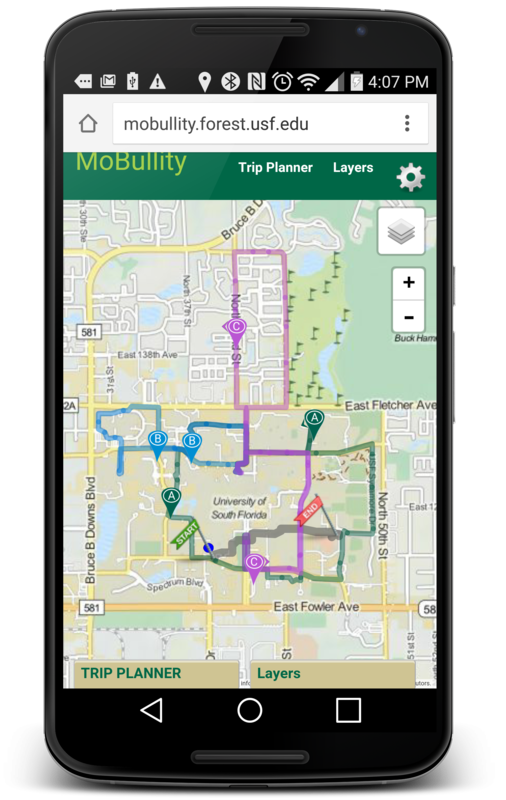 Both the mobile web application and the USF Bull Runner GTFS real-time information feed are available as open-source projects on Github, and are based on the OpenTripPlanner project.